DCC 24K Gold CD - items 25 to 50 Shop MyMusicFix!! 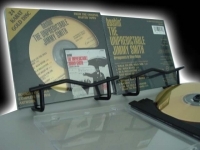 "Jimmy Smith, Bashin' The Unpredictable - FACTORY SEALED DCC 24-KARAT GOLD"
Track listing 1. Walk on the Wild Side 2. Ol' Man River 3. In a Mellotone 4. Step Right Up 5. Beggar For the Blues 6. Bashin' 7. I'm an Old Cowhand (From the Rio Grande) Contributing artists: Doc Severinsen, Ed Shaughnessy, George Duvivier, Jimmy Cleveland, Oliver Nelson, Phil Woods, Urbie Green Producer: Creed Taylor Distributor: Dunhill Compact Classics Recording type: Studio Recording mode: Stereo Album notes Personnel: Jimmy Smith (organ); Oliver Nelson (conductor); Babe Clark, Bob Ashton, Gerry Dodgion, Phil Woods, George Barrow (reeds); Joe Newman, Doc Severinsen, Joe Wilder, Ernie Royal (trumpet); Tommy Mitchell, Jimmy Cleveland, Urbie Green, Britt Woodman (trombone); Quentin Warren, Barry Galbraith (guitar); George Duvier (bass); Donald Bailey, Ed Shaughnessy (drums). Recorded in New York, New York on March 26 & 28, 1962. Originally released on Verve (V6-8474). Includes original release liner notes by Del Shields. All tracks have been digitally remastered. This is part of the Verve Master Edition series. Personnel: Jimmy Smith (organ); Babe Clark, Robert Ashton, Gerry Dodgion, Phil Woods, George Barrow (saxophone); Joe Newman, Doc Severinsen, Joe Wilder, Ernie Royal (trumpet); Tommy Mitchell, Jimmy Cleveland, Urbie Green, Britt Woodman (trombone); Jimmy Warren, Barry Galbraith (guitar); George Duvivier (bass); Don Bailey, Ed Shaughnessy (drums). Recorded in New York, New York on March 26 & 28, 1962. Originally released on Verve (V6-8474). Includes original release liner notes by Del Shields. Smith's debut session for Verve kicks off with an explosive big band sound. The first four tracks of BASHIN' feature a sizeable backing orchestra (whose personnel list that may ring some unexpected bells, like future Tonight Show bandleader Doc Severinsen) and dramatic arrangements by Oliver Nelson (who also assumes conducting duties). While fans of Smith's lower-key trio work for Blue Note may cringe at the blare of horns and the grandiose dynamic shifts, Smith is still in uber-cool form, and his Hammond plays the groovy foil to Nelson's occasionally square arrangements. Die-hard enthusiasts of the trio won't be disappointed, however, since the last three tracks are strictly old school. Quentin Warren and Donald Bailey help mix it up in deep blues fashion on "Beggar For the Blues" and the title track, while Smith, even after the large-scale blasts of Bernstein's "Walk On The Wild Side" and Nelson's "Step Right Up," seems right at home. This disc, released in 1962, captures the artist at a transition period, and proves that no matter the band, year or label, Smith was a consistently compelling artist. 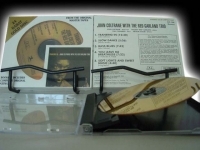 "John Coltrane with the Red Garland Trio,Traneing In - Factory Sealed DCC 24-Karat Gold - LAST COPY"
"John Coltrane, Cattin' With Coltrane & Quinichette - Factory Sealed DCC Gold CD"
Cattin' With Coltrane & Quinichette - Factory Sealed DCC Gold CD Track listing 1. Cattin' 2. Sunday 3. Exactly Like You 4. Anatomy 5. Vodka 6. Tea For Two 7. Green Is Blue - (previously unreleased, with Paul Quinichette Quintet) 8. You Belong To Me - (previously unreleased, with Paul Quinichette Quintet) 9. Birdland Jump - (previously unreleased, with Paul Quinichette Quintet) Details Contributing artists: Ed Thigpen, Mal Waldron Producer: Bob Weinstock Distributor: Dunhill Compact Classics Recording type: Studio Recording mode: Mono Personnel: John Coltrane, Paul Quinichette (tenor saxophone); Mal Waldron (piano); Julian Euell (bass); Ed Thigpen (drums). Paul Quinichette Quintet includes: Kenny Drew (piano); Freddie Green (guitar); Gene Ramsey (bass); Gus Johnson (drums). Engineers include: Rudy Van Gelder. Recorded at the Van Gelder Studio, Hackensack, New Jersey on May 17, 1957 and at Beltone Studios, New York, New York on August 14, 1952. Originally released on Prestige (7158). Includes liner notes by Bob Snead. Digitally remastered by Steve Hoffman. John Coltrane's earliest recordings for Prestige found him in the role of host to some excellent improvising saxophonists, modernists and classicists alike. At the same time as he engaged in these conservative blowing sessions, Trane was taking stock of himself as a composer and improviser. Trane felt the influence of Miles and Monk very keenly in 1957, and thenceforth there'd be a keen edge of discovery to his music. Still, his blowing in more or less traditional contexts such as CATTIN' WITH COLTRANE AND QUINICHETTE embraces classic values, even as he strains to break free of the form. Coltrane is a gracious host, and often defers to Quinichette, letting the old master take the lead. But Trane gets his licks in. Listen to his subtle intervals behind Quinichette on the head to "Anatomy" (our old friend "All The Things You Are"), before launching into a rhythmically complex solo; then check out Quinichette's dulcet, witty response. Pianist Mal Waldron's solo is heroically laid back, building subtle melodic sandcastles without upsetting the groove. The closing exchanges are particularly sweet, as Trane pares down his phrasing to concentrate on the sweetest notes, and play to Quinichette's strengths. The coy easygoing blues of "Cattin'" is driven along by Waldron's thoughtful orchestrations, a new suit of chords for each stylist--a Monkish comp behind Coltrane, languid nibbles and pecks for the elegant Quinichette. Drummer Ed Thigpen's buoyant intro launches the Basie-ish groove of "Sunday," a classic tenor battle. Quinichette floats through the theme on a turquoise cloud. Not for nothing was he known as the Vice-President, so sincere was his admiration for the Prez (Lester Young), although his rhythmic ideas aren't as sophisticated. Coltrane follows with uncharacteristic restraint, poking around for spaces to hide, then reemerges with hot flashes of melody, the ultimate expression of Coleman Hawkins' sheets of arpeggios. 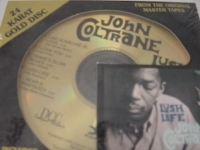 "John Coltrane, Lush Life - Factory Sealed DCC 24-Karat Gold CD"
DCC 24K Gold CD. Featuring 1957 and 1958 performances by the trio and quartet, this original Prestige Records recording is one of the best played (and best sounding) albums of Coltrane's career. Tracks Include: "Like Someone in Love" "I Love You" "Trane's Slo Blues" "Lush Life" "I Hear a Rhapsody"
"John Coltrane, Soultrane - Factory Sealed DCC Gold CD"
Soultrane Track listing 1. Good Bait 2. I Want To Talk About You 3. You Say You Care 4. Theme For Ernie 5. Russian Lullaby Details Playing time: 39 min. Contributing artists: Art Taylor, Paul Chambers, Red Garland Producer: Bob Weinstock Distributor: Dunhill Compact Classics Recording type: Studio Recording mode: Mono Personnel: John Coltrane (tenor saxophone); Red Garland (piano); Paul Chambers (bass); Art Taylor (drums). Recorded at the Van Gelder Studio, Hackensack, New Jersey on February 7, 1958. Originally released on Prestige (7142). Includes liner notes by Ira Gitler and Mark Gardner. Digitally remastered by Steve Hoffman. This wonderful 1958 session features the tenor sax legend leading pianist Red Garland, bassist Paul Chambers and drummer Arthur Taylor on a well-chosen five-song set of jazz and pop standards. The album opens with a lively version of Count Basie's "Good Bait" that allows Coltrane, Chambers and Garland to indulge in some exquisite, highly inventive solos. While Coltrane's versions of Billy Eckstine's "I Want To Talk About You" and Fred Lacey's "Theme For Ernie" are pretty much straight ballad performances, his bold, powerful style brings out the soulful feel of these two beautiful, reflective melodies. The closing track--a wild rendition of Irving Berlin's "Russian Lullaby," ends the album on a high note, with Coltrane and Garland racing through this complicated tune with remarkable precision and focus. 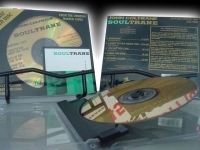 Superbly recorded by Rudy Van Gelder, SOULTRANE is a true jazz classic and quite simply one of Coltrane's finest albums. 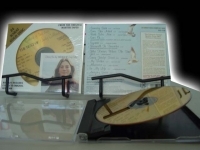 "Joni Mitchell, Court & Spark - LAST COPY"
DCC 24K Gold CD - "Last Copy". "Court and Spark" is considered to be Mitchell's best album and one of the all-time best loved albums of the rock era. Filled with musical innovation and daring harmonies, this album's influences can still be heard in many of today's arrangements and its influence on the singer/songwriter genre of music is unparalleled to this day. Tracks Include: "Help Me" "Free Man In Paris" "Raised On Robbery" "Down To You" and much more! DCC 24K Gold CD. Tracks Include: "Someday Soon" "Since You asked" "Both sides Now" "Sons Of" "Suzanne" "Fareweel To Farwathie" "Who Knows Where The Time Goes" "Sunny Goodge Street" "My Father" "Albatross" "In My Life" "Amazing Grace". 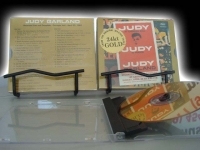 "Judy Garland, Live at Carnegie Hall - Factory Sealed DCC Gold CD"
DCC 24K Gold CD "Last Copy" The late '50s were tough on Judy Garland, but this live recording, cut on April 23, 1961, at Carnegie Hall, would (rightfully) bring the legendary icon back into the spotlight. Live would go on to win five Grammys, be Garland's bestselling record, and confirm that, yes, on certain levels, she still had it. Her vocals are as strong as ever on these tunes, and Garland has fun with an audience obviously enraptured by her charms. She's self-deprecating where necessary--on "You Go to My Head" she "forgets" the lyrics but pretends to improvise. Mostly she just shines, especially on tunes she made famous, such as "Come Rain or Come Shine," "Stormy Weather," and "Over the Rainbow." 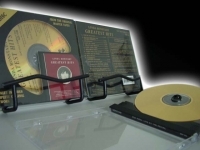 Double Gold CD contains 26 songs. . For this reissue, the concert has been remastered in a splendid 24-karat gold audiophile format based only on the original masters. It also contains the artwork, liner notes, and photo montage from the original album, as well as a new essay on Garland by Scott Schechter. 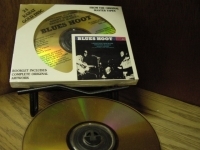 "Lightnin' Hopkins, Blues Hoot - Factory Sealed DCC Gold CD - CURRENTLY SOLD OUT"
DCC 24K Gold CD. Tracks Include: "Introduction To Big Car Blues" "Big Car Blues" "Coffee House Blues" "Stool Pigeon Blues" "Ball Of Twine" "Blues For Gamblers" "Right On That Shore" "Early Morning Blues" "Walk On" "Blues For The Lowlands" "Down By The Riverside" "Blowin' The Fuses" "Po' Boy" "I'm A Stranger Here" "Trouble In Mind". 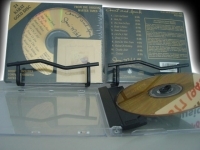 "Linda Ronstadt, Greatest Hits Volume I"
DCC 24K Gold CD. Tracks Include: "You're No Good" "Silver Threads And Golden Needles" "Desperado" "Love Is A Rose" "That'll Be The Day" "Long,Long Time" "Different Drum" "When Will I Be Loved" "Love Has No Pride" "Heat Wave" "It Doesn't Matter Anynore" "Tracks Of My Tears". 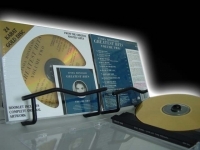 "Linda Ronstadt, Greatest Hits Volume II - CURRENTLY SOLD OUT"
DCC 24K Gold CD. Tracks Include: "Linda Ronstadt, Greatest Hits. Tracks Include: "It's So Easy" "I Can't Let Go" "Hurt So Bad" "Blue Bayou" "How Do I Make You" "Back In The U.S.A." "Ooh Baby Baby" "Poor Poor Pitiful Me" "Tumbling Dice" "Just One Look" "Someone To Lay Down Beside Me". 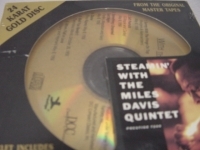 "Miles Davis Quintet - Steamin' - Factored Sealed DCC Gold CD"
Steamin' With The Miles Davis Quintet - Factory Sealed Gold CD Track listing 1. Surrey With The Fringe On Top 2. Salt Peanuts 3. Something I Dreamed Last Night 4. Diane 5. Well You Needn't 6. When I Fall In Love Details Playing time: 40 min. Contributing artists: John Coltrane, Paul Chambers, Philly Joe Jones, Red Garland Producer: Bob Weinstock Distributor: Dunhill Compact Classics Recording type: Studio Recording mode: Mono Miles Davis Quintet: Miles Davis (trumpet); John Coltrane (tenor saxophone); Red Garland (piano); Paul Chambers (acoustic bass); Philly Joe Jones (drums). Recorded at the Van Gelder Studio, Hackensack, New Jersey on May 11 and October 26, 1956. Originally released on Prestige (7200). Includes liner notes by Joe Goldberg and Chris Albertson. The final in a series of legendary recordings with the classic Miles Davis Quintet, STEAMIN' is distinguished by the virtuosity of drummer Joseph Rudolph Jones. Philly Joe's soulful, stylish command of the drum set's technical demands (his remarkable coordination, touch and speed of hand) and his wily command of time demonstrate why he is venerated as an innovator. Philly Joe played right on top of the beat, sometimes spilling over ahead of it. He took more chances, and pulled off more daring polyrhythmic designs than any drummer of his generation save for Max Roach and Art Blakey. Nowhere is this better illustrated than on an abstract romp through Gillespie's "Salt Peanuts." Jones sets a fierce boppish pace with fragmented shards of Afro-Cuban accents, Vaudevillian rim shots and elegant counterpoint. An unbridled Coltrane is in his element, but how about the fleet-fingered Garland, or the soaring, wailing Davis? Philly Joe comes flying out of Coltrane's final chorus with richly accented rolls, and architecturally perfect rises and falls in texture and dynamics that possess an uncanny harmonic logic--a virtuoso storyteller. Elsewhere, Miles and the band enjoy a bold run through Monk's "Well You Needn't." They take a more supple approach to "Diane," "Something I Dreamed Last Night" and "Surrey With The Fringe On Top" (from the musical "Oklahoma"), transforming them into unlikely Davis classics. On "Surrey...," the trumpeter free-falls through the tune's thematic arc over a definitive quarter-note groove. Coltrane follows with long harmonic elisions that deconstruct the theme into a triple-timed soliloquy, until Garland uses his elegant two-handed voicings and pithy melodic miniatures to distill Trane's vociferous exclamations into a heady blues elixir. 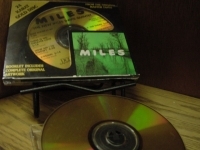 "Miles Davis, The Musings of Miles - Factory Sealed DCC Gold CD"
Miles Davis - The Musing of Miles a DCC Sealed 24K Gold CD Long out of print and one of the last factory sealed pieces left in the world. 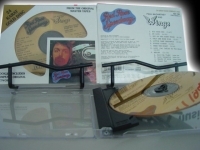 Please notice the unique packaging that exhibits the Gold CD and Original LP cover inside the Factory Seal. This expensive standard of quality package is only found in these 24-Karat Gold Masterpiece. T his was a forerunner of the Miles Davis Quintet as it was his first session with Red Garland and Philly Joe Jones. Up to then his Prestige dates had been of the "all star" variety. (Oscar Pettiford fills that bill here.) By the fall, John Coltrane and Paul Chambers would come aboard to help form the first of a continuum of great Davis working groups. On "A Night in Tunisia" Philly Joe used special sticks with little cymbals riveted to the shaft. -------------------------------------------------------------------------------- Track Listings 1. Will You Still Be Mine? 2. I See Your Face Before Me 3. I Didn't 4. A Gal in Calico 5. A Night in Tunisia 6. Green Haze The only difference was that in those three years, two of the members of the Miles Davis group had changed. While Chambers still handled bass duties, Wynton Kelly had replaced Garland on piano and Jimmy Cobb, not Philly Joe, was on drums. To mix things up a little, Pepper has also added Conte Candoli on trumpet to the frontline. 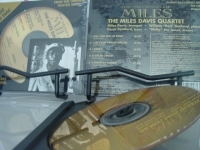 "Miles Davis, The New Miles Davis Quintet - 24 K DCC Gold CD"
Miles Davis - NEW MILES DAVIS QUINTET - a DCC Sealed 24K Gold CD Long out of print and one of the last factory sealed pieces left in the world. VERY SMALL CUTOUT SLASH IN JEWEL CASE OTHERWISE PREFECT. Miles was still a child when this album was cut in 1955. Fresh from the so-cool-it's-hot masterpiece Round About Midnight, he was still seeking his voice. John Coltrane and Red Garland were just as young, mortals not yet become icons--the later recordings, especially Workin' with the Miles Davis Quintet and Miles & Coltrane, contain far more lasting, memorable performances. This album is more like a Miles Davis starter kit, far down on the list of essential recordings but containing its fair share of notable additions to the legacy. "S'posin," "The Theme," and "How Am I to Know?" are among its handful of gems. 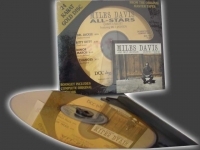 "Miles Davis, Workin' -Last Copy"
DCC 24K Gold CD. Tracks Include: "Will You Still Be Mine?" 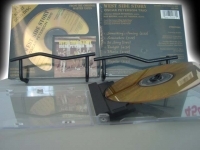 "I See Your Face Before Me" "I Didn't" "A Gal in Calico" "A Night in Tunisia" "Green Haze"
"Oscar Peterson Trio, West Side Story"
DCC 24K Gold CD. Peterson propels Bernstein's art ballads with potent dance rhythms or adds rhapsodic breadth to dance numbers. Bernstein's harmonies provide plenty of fuel for Peterson's improvisations, while bassist Ray Brown and drummer Ed Thigpen complement the pianist with their usual balance of poise and power. 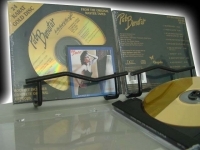 Tracks Include: "Something's Coming" "Somewhere" "Jet Song" "Tonight" "Maria" "I Feel Pretty" "Reprise"
"Pat Benatar, In The Heat of the Night - CURRENTLY OUT OF STOCK"
DCC 24K Gold CD. Tracks Include: "Heartbreaker" "I Need A Lover" "If You Think You Know How To Love Me" "In The Heat Of The Night" "My Clone Sleeps Alone" "We Live For Love" "Rated X" "Don't Let It Snow" "No You Don't" "So Sincere"
"Paul McCartney & Wings, Red Rose Speedway - Factory Sealed DCC Gold CD - CURRENTLY SOLD OUT"
DCC 24K Gold CD. Tracks Include: "Big Barn Bed" "My Love" "Get On The Right Thing" "Only One More Kiss" "Little Lamb Dragonfly" "Single Pigeon" "When The Night" "Loup (1st Indian On The Moon)" "Medley a. Hold Me Tight b.Lazy Dynamite c. Hand Of Love d. Power Cut" -- BONUS TRACKS: "C Moon" "Hi,Hi, Hi" "The Mess (recorded live at the hague)" "I Lie Around"
"Paul McCartney, Ram - Factory Sealed DCC Gold CD"
Ram - Factory Sealed DCC Gold CD Track listing 1. Too Many People 2. Three Legs 3. Ram On 4. Dear Boy 5. Uncle Albert / Admiral Halsey 6. Smile Away 7. Heart Of The Country 8. Monkberry Moon Delight 9. Eat At Home 10. Long Haired Lady 11. Ram On (Reprise) 12. Back Seat Of My Car, The Details Playing time: 43 min. Contributing artists: Denny Laine Producer: Linda McCartney, Paul McCartney Distributor: Ryko Distribution Recording type: Studio Recording mode: Stereo SPAR Code: n/a Album notes Personnel: Paul McCartney (vocals, guitar, keyboards, bass instrument); Linda McCartney (vocals, keyboards); David Spinozza, Hugh McCracken (guitar); Denny Seiwell (drums). At the beginning of his solo career, McCartney took the term rather literally, recording virtually alone, playing and singing nearly all the parts himself. Nowhere is that approach more effective than on RAM, arguably his finest solo recording. Admittedly, he had a little help from guitarist Hugh McCracken and a couple of others here and there, but for the most part, this is Paul's show. Instead of succumbing to self-indulgence, though, he used this forum to focus his artistic energies, thus turning out some of the best songs of his post-Beatles career. The opening "Too Many People" is an appealingly melodic rocker that combines the two sides of McCartney--melodious popster and unabashed rocker--to unprecedented effect. He gets bluesy on "3 Legs," homespun-acoustic on "Heart of the Country," and appealingly jocular on the radio hit "Uncle Albert/Admiral Halsey," whose whimsy recalls his best light-hearted Beatles efforts. What he maintains throughout all this is his vision, never getting sidetracked into loopy experimentalism or sentimental mush. 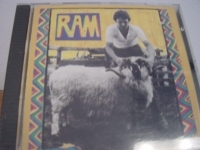 RAM is McCartney at the peak of his considerable powers, spontaneous-sounding but still expertly crafted. 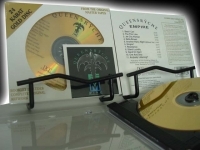 QUEENSRYCHE - EMPIRE DCC Sealed 24 Karat Gold CD Long out of print. Exploring the uncharted territory between heavy metal and progressive rock, Queensryche has always been difficult to categorize. While Operation: Mindcrime is their most highly-praised album, Empire remains their most accessible, with a somewhat more commercial approach that has no negative impact on the quality of the material. Empire produced a string of hit singles, including "Best I Can," the title track, "Jet City Woman," and "Silent Lucidity" (probably their best-known song, and ironically unlike most of their other work). At times sounding a great deal like Pink Floyd, Empire is an impressive collection that is all substance, no filler. "Anybody Listening? ", which closes the album, is probably the best perspective on a life lived on stage since Rush's "Limelight". Track listing 1. Best I Can 2. Thin Line, The 3. Jet City Woman 4. Della Brown 5. Another Rainy Night (Without You) 6. Empire 7. Resistance 8. Silent Lucidity 9. Hand On Heart 10. One And Only 11. Anybody Listening? Queensryche: Geoff Tate (vocals, keyboards); Chris DeGarmo (6- & 12-string acoustic & electric guitars, keyboards, background vocals); Michael Wilton (6- & 12-string acoustic & electric guitars); Eddie Jackson (electric & fretless basses, background vocals); Scott Rockenfield (drums, percussion). Additional personnel: Michael Kamen (strings); B.O.B. (background vocals). Engineers: James "Jimbo" Barton, Paul Northfield. Recorded at Vancouver Studios, Vancouver, Canada and Triad Studios, Redmond, Washington in 1990. Digitally remastered by Steve Hoffman. With the breakthrough success and worldwide respect that Queensryche gained from their conceptual masterpiece OPERATION: MINDCRIME, how could the band possibly outdo or at the least match themselves? Just two years after the release of MINDCRIME Queensryche reinvented themselves (though certainly not for the last time). While many fans were clamoring for a conceptual sequel, the band returned to a song-oriented approach that was more art rock and less metal-edged. Now quite far removed from the fantasy and techno-paranoia lyrical themes of their earlier works, the band tackled overcoming social and physical handicaps ("Best I Can"), poverty, and regret ("Della Brown"). Focused much less on the darker side of love that was always so prevalent in their sound, the band was now brave enough to be romantic ("Another Rainy Night" and "Hand On Heart"). While Queensryche lost some diehard metal fans with EMPIRE, the mature sound and tight production of Peter Collins (Rush) saw the band break into the mainstream (and top off at #9 on the Billboard singles chart) with the Pink Floyd-inspired "Silent Lucidity." 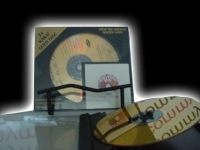 "Ray Charles, Ingredients In A Recipe For Soul (Japan Pressed) - Factory Sealed DCC 24-Karat Gold CD - Last Copy- CURRENTLY SOLD OUT"
This is a Rare DCC Japan manufactured Sealed copy of Ray Charles. This Japanese Pressing proves that this 24-Karat Gold CD is definitely a first run of this Out of Print Limited Edition classic. This recording being offered states "Disc Manufactured in Japan". This separates the men from the boys when it comes to First Generation collectibles. 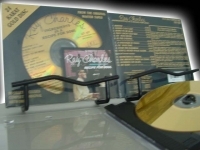 This Ray Charles DCC Gold Disc was one of the first five ever produced by DCC. This album from 1963 peaked at #2 on the Billboard Album Chart and yielded two top singles - Busted and That Lucky Old Sun. Wonderful sound quality, great performances and arrangements will make this a memorable Gold Disc. Features four bonus tracks from various singles of this period by Ray Charles. By the legendary Steve Hoffman -- "When INGREDIENTS IN A RECIPE FOR SOUL was released by ABC-Paramount Records in August of 1963, it immediately burst upon the charts. Ray Charles had wanted to do an album that was mainly jazz/blues-based in an effort to distance himself a little bit from the country and western songs he was singing throughout 1962. The album jumped up the Billboard Album Chart in August of '63 peaking at number 2. It stayed on the chart for 32 weeks. The two singles released from the album did extremely well. BUSTED hit number 4 in September of that year. THAT LUCKY OLD SUN peaked at number 20 in December two weeks after the assassination of John F. Kennedy. Although it had been released in the middle of November. SUN seemed to be played much more after Kennedy was killed. It seemed to be perfect for the mood of the country in that bleak December. Even a cursory glance at the credits of INGEDIENTS IN A RECIPE FOR SOUL reveal an amazing fact: this album was recorded in just two days. Three songs were recorded live in four hours at United in Hollywood and the remaining eight were laid down in an amazing six hour session at Capitol in NYC. That fact is that Ray and producer Sid Feller knew what they wanted from each other and what they expected from the musicians, arrangers and recording engineers - nothing less than perfection. As a listen to this disc will reveal, perfection was achieved. The INGREDIENTS IN A RECIPE FOR SOUL session tapes show only one or two "takes" per selection, each different in just one way - interpretation. Ray never sang them the same way twice. IN THE EVENING (WHEN THE SUN DOES DOWN), is a perfect example. The unreleased version is at a much faster tempo, not as dramatic as the released version but spirited. When the second (issued) take was laid down, the pace slowed and the performance became more brooding and intense: perfect for the album's mood. The climax of the album YOU'LL NEVER WALK ALONE is a finale worthy of an encore at the London Palladium. Sid Feller's arrangement throws in every curve possible in music of this nature. Ray sings it playing piano at the same time of course like it was his last performance on earth. It leaves one speechless upon hearing it. Amazingly, it only needed to be put on tape once. 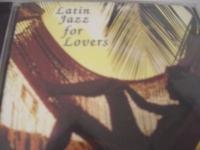 The version you hear on this compact disc is the only take attempted. Why mess with perfection?" Track Listings 1. Over the Rainbow - Ray Charles, Jack Halloran Choir, 2. Ol' Man Time 3. In the Evening (When the Sun Goes Down) 4. Busted 5. Stranger in Town 6. That Lucky Old Sun - Ray Charles, Jack Halloran Choir, 7. Born to Be Blue 8. Where Can I Go? 9. Ol' Man River - Ray Charles, Jack Halloran Choir, 10. You'll Never Walk Alone 11. Something's Wrong [*] 12. Brightest Smile in Town [*] 13. Worried Life Blues [*] - Ray Charles, Sid Feller 14. My Baby! (I Love Her, Yes I Do) [*] - Ray Charles, Margie Hendrix, LIMITED GOLD EDITION. 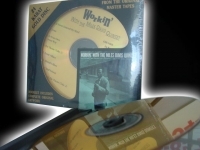 This 24-Karat Gold Limited Edition FACTORY SEALED CD is an audiophile collector's item that simply gives the feeling of being directly in the studio with the artist. 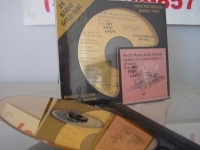 "Shelly Manne, My Fair Lady (Japan Pressed)"
DCC 24K Gold CD, Modern Jazz Performances Of Songs From My Fair Lady The musical interpretation from the Broadway play is magnificent featuring Andre Previn in his best jazz mode and the instrumental give and take with Manne and Leroy Vinnegar yields some truly memorable riffs. It is as innovative now as it was when recorded 40 years ago. Tracks include: Get Me To The Church On Time - On The Street Where You Live - I've Grown Accustomed To Her Face - Wouldn't It Be Loverly - Ascot Gavotte - Show Me - With A Little Bit of Luck - I Could Have Danced All Night. Remastered for the CD by Steve Hoffman in august 1993 from the Original two-track mastrs recorded August 17, 1956 for Contemporary Records.